He is a son of Texas Star, out of Superior Symbol, by Superior out of Ranger's Measles. He is becoming one of the most appreciated sires of fancy show females in the nation. 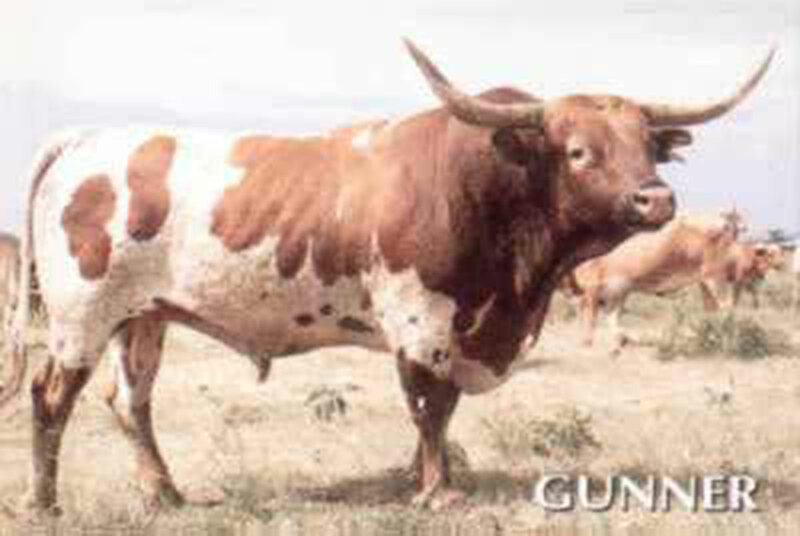 His daughter Gunner Ruby Baby is almost unbeatable in any level of show competition. His calves have beautiful straight lines, fancy feminine qualities & tremendous development at an early age. His most famous son is Not Gunna.